We are passionate that we will not setup any shots on your day. We dress like the waiters do as we don't want to be noticed. We have had many years of experience of wedding cinematography and have learnt that everything needs to be flexible. With cinematic style wedding filming, editing and state-of-the-art technology, we have always taken pride in our attention to detail and romantic results to make the perfect keepsakes. What is the difference between Wedding Cinematography and Videography? Well this is an interesting question. We see it as the following. Wedding videography is the basic capturing of a wedding using video equipment with one person. Wedding cinematography is based on a team (two or more) capturing a wedding also with video equipment. Put simply Wedding Cinematography allows for cinematic techniques which one person simply cannot capture if they were to work alone and results in a huge different in coverage and visual aesthetics. I absolutely LOVE your drone/aerial footage, can we have that at our wedding? Yes you can, if you scroll down this page you will see an advert for Whirlybird Imaging. Contact them and they will give you with a no obligation quote for your day. Good question, you get 1 x USB containing all files. The Preview, The Feature, The Full Ceremony and the Full Speeches. Well it depends hugely, I once filmed a wedding where all the speeches took 1h 45mins and another time all three lasted 4 minutes (no i’m not joking). Church weddings are normally longer than civil ceremonies too so there is that to consider. But in terms of The Feature, thats a little easier, roughly 15 minutes for the “Choral Charm” and roughly 20-25 minutes for the “Bride’s Dream”, as well as a more cinematic feel all round. Can I alter/tweek the packages above? Of course, these are purely for guidance. We are more than happy to discuss further. Can I please have DVD’s instead? Sorry no, the software companies that made the ‘DVD Burning’ we use, no longer support it anymore, so we are stranded on that one i’m afraid. How long do we wait for the finished masterpiece to be delivered to us? Again this varies due to business, but overall the contract says between 12-14 weeks. If you are getting married more towards the end of the year, those figures are more accurate. 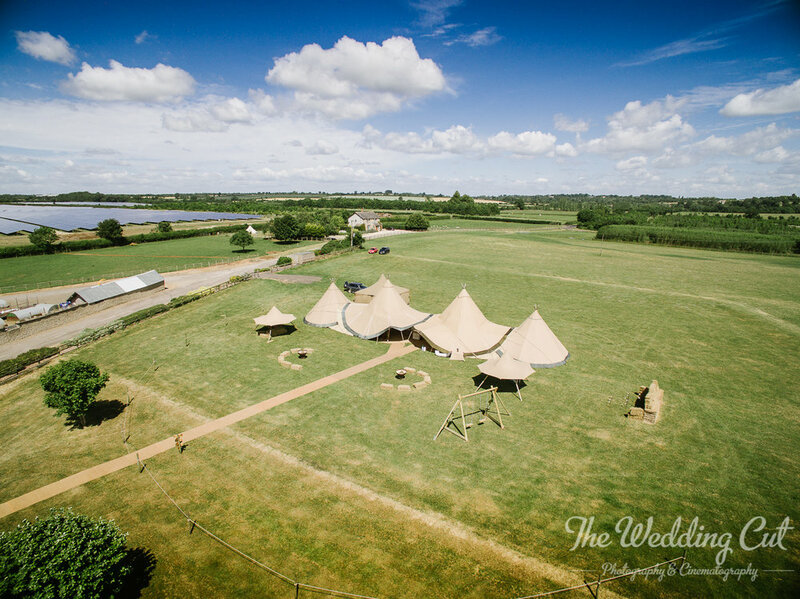 It’s simple, we provide all of our stunning aerial footage to The Wedding Cut and they seamlessly incorporate this into your sensational wedding video. Aerial Imaging really does add another dimension to your video and Whirlybird Imaging is committed to providing you with the best legal footage possible, while trying to remain as discrete as possible. Whirlybird Imaging is a fully Civil Aviation approved Operator with our own public liability insurance. Prices start from £350 and this includes aerial filming at two separate locations, all staff, equipment and basic editing services. Additional locations and filming can be included but may attract additional costs. All flying is subject to permissions, weather and satisfactory risk assessments. Due to the nature of this work, there are added insurance complications so we will need to be booked and engaged separately to The Wedding Cut. Rest assured, on the day we will work with and under the expert direction of The Wedding Cut to help make your wedding video the best it can be. Book directly with John Tasker at Whirlybird Imaging and they will do the rest.